“The President is playing politics with the moral soul of this nation, and it must end,” Gov. Cuomo said on Father’s Day. President Donald Trump and members of his administration this week have been attempting to weather the fallout from the White House’s zero-tolerance immigration policy, which has resulted in harrowing accounts of children as young as toddlers wailing after being separated from their parents and relegated to cages at border facilities. Elected New York officials began to blast Trump, Attorney General Jeff Sessions, and the U.S. Department of Homeland Security last week—and haven’t shown signs of stopping any time soon. “This Father’s Day, the separation of children from their parents at our border weighs heavily on our nation’s conscience. No parent should ever be forced apart from their child, and this administration’s inhumane treatment of families is a moral failing and a human tragedy. As the father of three daughters, I cannot imagine the dread and suffering these parents face when their children are taken from them at the border,” Gov. 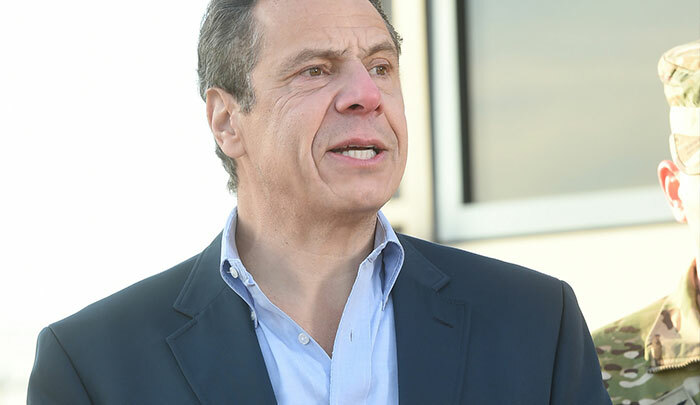 Andrew Cuomo said on Sunday. “Now Trump is using these families as a negotiating tool to advance his own political agenda. The President is playing politics with the moral soul of this nation, and it must end. Mayor Bill de Blasio penned a powerful op-ed for CNN on children being detained at the border. This is a stark departure from his stance earlier in the week in which a defiant Trump declared that he would not back down. “It is time to reform these outdated immigration rules, and finally bring our immigration system into the 21st century,” the President said on Monday, blaming Congress for “loopholes” that, in his view, are preventing “common sense” immigration enforcement. Perhaps with calls for him to act regarding the children ratcheting up—many even emanating from prominent members of his own political party—Trump opted to abandon austerity.